WARNING: This product can expose you to chemicals including Di(2-ethylhexyl)phthalate (DEHP), which is known to the State of California to cause cancer, and to cause birth defects or other reproductive harm. For more information go to www.P65Warnings.ca.gov. 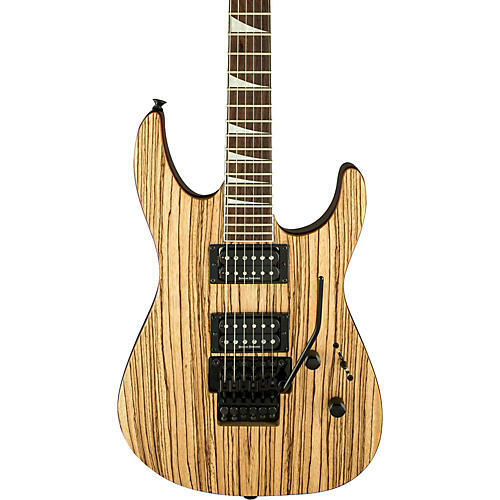 The X Series Soloist SLX features a basswood body with either a koa or zebra wood top, through-body maple neck with graphite reinforcement and tilt-back scarf joint headstock, and a 12-16 in. fully bound compound radius dark rosewood fingerboard (with 24 jumbo frets and pearloid sharkfin inlays) that curves more dramatically at the nut for easy chording and flattens out as it approaches the neck joint for low-action bends without fretting out. Duncan Designed alnico HB-102N (neck) and high-output ceramic HB-102B (bridge) humbucking pickups power this metal beast, which also includes master volume and tone controls, three-way blade switching and a Floyd Rose Special double-locking two-point tremolo. Case sold separately.